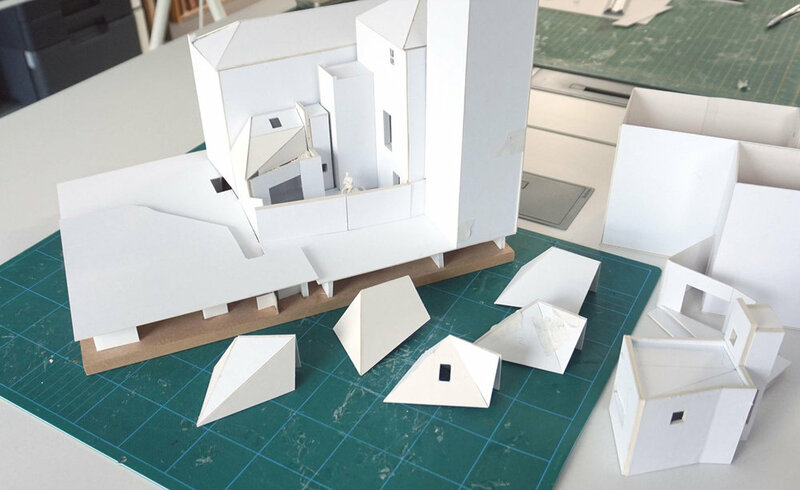 Hidden between a Grade II Listed Regency property and Margate High Street will be a private studio space to replace an extant garage set within a peculiar shaped courtyard. The stacked appearance of Victorian structures to the rear of the property inspired us for our design. The studio has a hard side fronting an urban passageway and the soft side of a private courtyard. The studio features an articulated roof with front hip set back, revealing the original stacked extensions. The roof's random-width timber cladding folds seamlessly, forming the front and rear elevations. Fronting the passageway, a concealed door and window are obscured by hit-or-miss cladding for privacy. An angular facade faces inward to the courtyard with a set of sliding glass doors, maximising space and light and blending with a landscaped terrace. The interior offers fixed work benches and storage while the use of warm Birch plywood cladding juxtaposes well with buff brickwork of the adjacent house. There is a kitchenette, lavatory and small mezzanine space for reading. The courtyard is landscaped with a series of terraces with fixed planters. PU decking is in rustic limed oak which is durable and child-friendly. 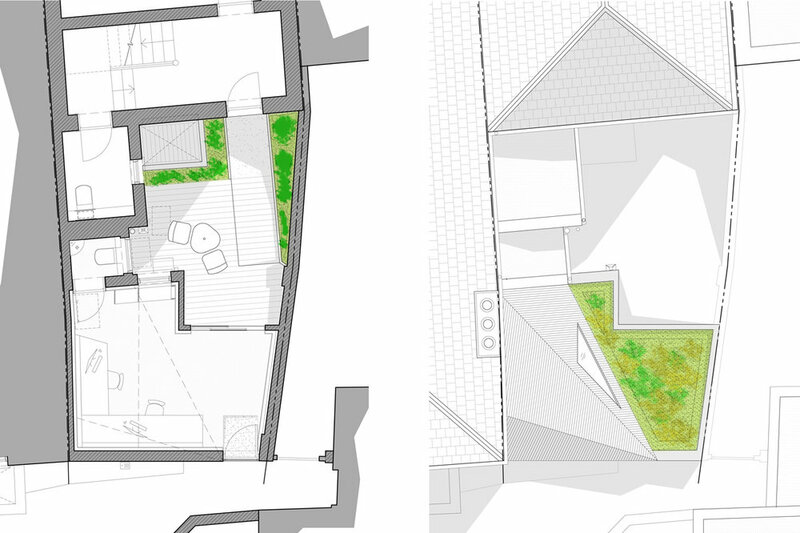 A flat section of the roof features a low-maintenance sedum roof, visible from the family's house.